This post describes how to use Android Service. This is a key component in developing an Android app. Differently, from Activity, Service in Android runs in the background and they don’t have an interface and have a life-cycle very different from Activities. 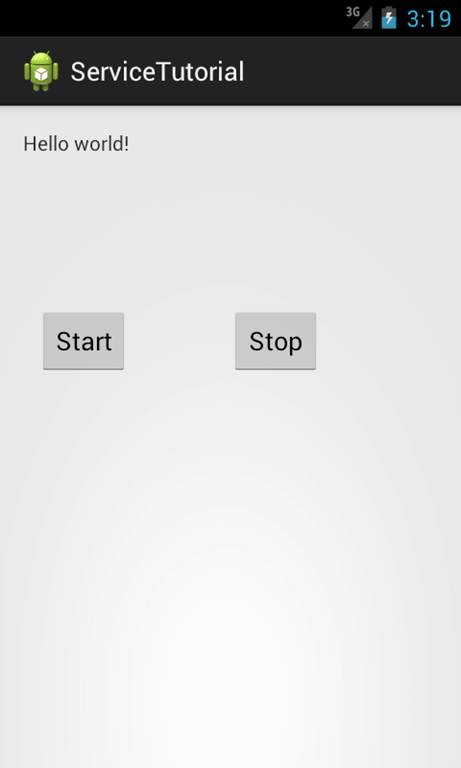 Using Android Service we can implement some background operation, for example, we can suppose we want to load a web page from a remote server. Moreover, using a Service in Android we can implement multitask in Android. We already know the lifecycle of an Android Activity; it can be started, stopped, destroyed if the system resources become too low and maybe can be recreated. On the contrary, a service in Android is designed to have a longer life. An Android Service can be started from an Activity, from a Broadcast receiver and other services too. It is important to notice that using Android Service we do not create automatically new threads, so if we implement a simple logic inside our Service, that doesn’t require long time processing, we don’t need to run it a separate thread. If we have to implement complex logic, with longtime processing, we have to take care of creating a new thread, otherwise, the Android service runs on the main thread and it could cause ANR problem. A typical example of the first case is an app that required to download data from a remote server. In this case, we can have Activity that interacts with a user and starts a service that accomplishes the work in the background while the user can use the app. When the Android service finishes, it sends a message to the user. In the second case, we want to “share” some common functions so that different app can re-use them. For example, we can suppose we have an Android Service that sends an email and we want to share this service with several apps so that we don’t have to rewrite the same code. In this case, we can use IPC so that the service exposes a “remote” interface that can be called by other apps. In this post, we cover the first case: we have a local service, local means that the service can be seen just inside our APK. Now we know more about Android Service, we want to create it. In Android to create a Service, we have to extend Service class. The first method onCreate is called only one time when the Service has to be created. If the Android Service is already running this method won’t be called. We don’t call it directly but it is the OS that calls it. START_REDELIVER_INTENT: It is similar to the START_STICKY and in this case, the Intent will be redelivered to the service. OnDestroy is the method called by the OS when the Service will be destroyed. As we know a Service has to be started and eventually stopped so that it can accomplish its task. So the question is: How to start an Android service? In the code above at line 5, we create an Intent passing the class name that handles our Service, moreover, we set some params like name and then we start the Service at line 7. In the same way, at line 17 we stop the service. We can notice that the onCreate method is called because it is the first time we start the service if we click again on start button the OS doesn’t call onCreate method. When we click on stop button the OS destroy the service. As we mentioned before a service runs on the main thread, so we have to be very careful when we implement some logic in this service. We have to consider that if this logic is a blocking operation or it requires long time to finish a ANR problem could occur. In this case, we have to move our logic to a separate thread, meaning we have to create a thread in onStartCommand method and run it. In this case, we have only one method to implement called onHandleIntent. Here we implement out logic without caring if this is operation requires long time or not, because this method is called in a separate thread. Many times we want to start our service automatically, for example at boot time. We know to start a Service we need a component to start it. How can we do it? Well, we could use a Broadcast receiver that starts our service. If for example, we want to start it at the smartphone boot time, we create first a Broadcast receiver that listens to this event and then it starts the service. 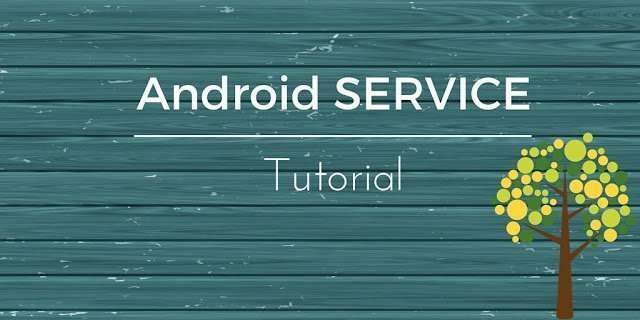 At the end of this post, you hopefully gained the knowledge how to use Android Service and how to call services from an android app. Your tutorials are very useful, thanks so much.. Very nice and well explained tutorials..